It is all about Ruby’s! 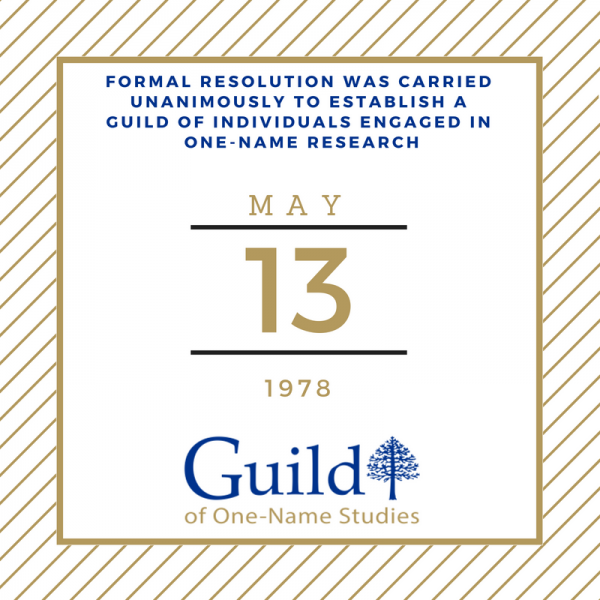 This month, the Guild acknowledged an important date in the history of our organisation. The quote below came from the Rayment Society, which is, as you might expect a surname registered with the Guild. 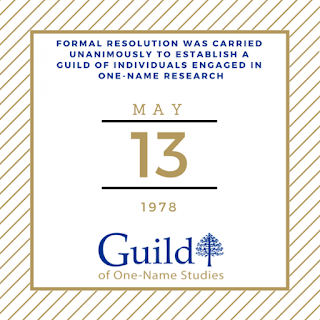 So, the Guild of One-Name Studies steps into the pathway of our year leading up to our 40th Birthday. For those who are familiar with the use of gem stones to, represent typically wedding anniversaries will know that recently the Guild launched the Ruby One-Name Study in celebration of our 40th year of existence. About 18 months ago several Committee members began work on a “starting your one-name” article. That very quickly morphed into a set of web page about starting a study, and you can read them HERE. One of the most important elements at the beginning is to know the numbers in your potential study, so we set about looking at the numbers in our respective studies. We then took the thought process a stage further, how did that compare to Ruby which represents 40, Gold representing 50 and Diamond representing 60? Another fascinating element is that the name Ruby is geographically diverse which is a representation of the Guild now. We have members living globally, researching surnames on a global scale and the origin of those surnames is also global. Surnames originating outside of the British Isles is now over 100 and to celebrate that, I wrote a news post HERE.